Amid demand from some Congress workers that Priyanka Gandhi Vadra, party general secretary for eastern Uttar Pradesh (UP), contest from Varanasi — Prime Minister (PM) Narendra Modi's constituency — top Bharatiya Janata Party (BJP) sources on Thursday said the PM would again contest from the seat in the Lok Sabha polls. Modi had contested from Vadodara and Varanasi seats in 2014. He later quit the Vadodara seat, while retaining Varanasi. Priyanka’s entry into Congress party hierarchy continued to dominate discussions within the Congress and the BJP for the second successive day. 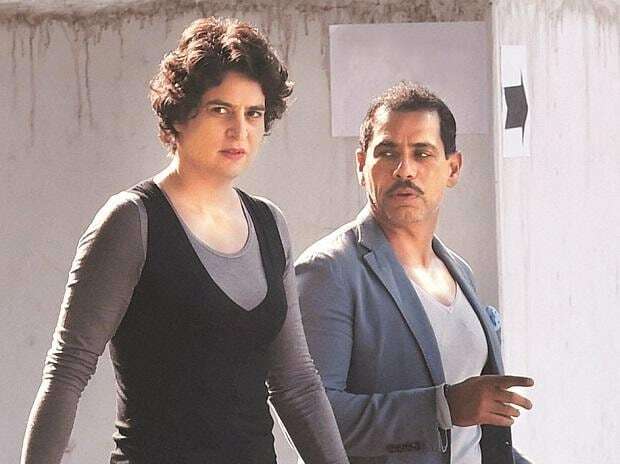 While some in the Congress were apprehensive that land grab allegations against her husband Robert Vadra could turn out to be Priyanka's Achilles heel, much of the BJP leadership opted not to bring up the issue at the current juncture. BJP strategists were busy discussing whether they should address her as Priyanka Gandhi Vadra or Priyanka Vadra, which would determine the party's line of attack in the coming weeks. In New Delhi, Union minister Manoj Sinha, addressing a press conference at the BJP national headquarters, did not bring up the Vadra issue. Sinha said Priyanka's appointment was an attempt by the Congress to become somewhat relevant in UP, particularly now that it is in a "bad shape" after the Samajwadi Party and Bahujan Samaj Party alliance kept it out of their seat sharing formula. He said only the Delhi media was talking about her debut, and "it seems that people of the region of which she has been made in-charge are not noticing it". However, Bihar Deputy Chief Minister Sushil Modi said in Patna that the BJP would "gain" from Priyanka's entry into active politics. He said Priyanka's appointment would bring the alleged corruption scandals involving her husband onto the "centre-stage", which would be to the benefit of the BJP-led National Democratic Alliance. Congress leader and former Uttarakhand Chief Minister Harish Rawat termed Wednesday's development "full of possibilities". He said it would pave the way for United Progressive Alliance's return to power at the Centre. In Rajasthan, Deputy Chief Minister Sachin Pilot said it would be a “game changer in the next three months”. Some in the BJP said they were well aware that an attack on Priyanka about her husband's land deals could backfire on the party if not handled sagaciously. Vadra is facing Enforcement Directorate and Central Bureau of Investigation probes in alleged money laundering cases. The ED had last summoned Vadra in November in connection with a 2012 land grab case in Rajasthan. It had raided his office premises in December. Vadra, the agency had said, ignored two of its summons. The ED had registered a criminal case against Vadra in September 2015. The case relates to alleged violations of the Prevention of Money Launder Act. Senior Congress leaders were more concerned whether Vadra, a flamboyant individual, would remain in the background, or start making public statements. In the past, Vadra has been open about his political ambitions. On Wednesday, he congratulated his wife for her new appointment in a tweet.